Did you consider hiring overseas App Developers? There are strong reasons to trust them. It’s not like this that you can go and search for the required app in the market. You have to search for an appropriate mobile app development company. The mobile app developer next door or the one next street would be your preference. May that shouldn’t be the choice! The amateurs next door may be sufficiently talented but will be able to incorporate the expertise of a mobile developer. 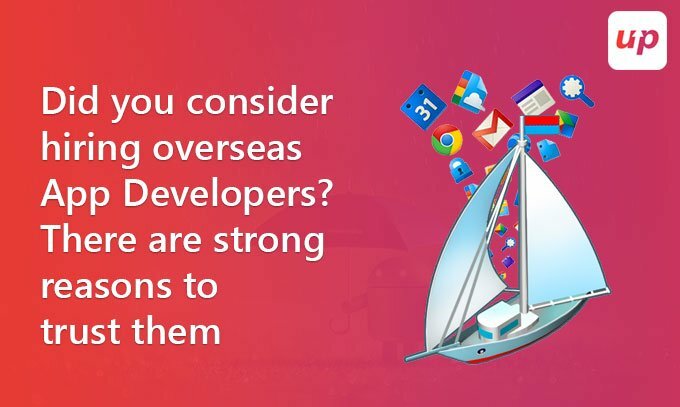 Have you considered the overseas developer? They must be having attractive offers for foreign clients. We will try to communicate the benefits of employing an offshore app development company. Costs: The prominent reason behind the outsourcing of projects. A low labor cost is the reason behind the tendering of projects to foreign mobile app developer The costs of getting an application developed through outsourcing are much lower (three to four times) than offering the same project to the local developer. This is the usual reaction of every customer. The trends are very common in developed countries where the maximum projects are outsourced to mobile app development company in Dubai or Asia. The government of Dubai levies no taxes on app developers that makes these places a haven for mobile app developers. No long term projects: Outsourcing saves the customer from maintaining long term contracts. Since, long projects will incur more cost this will put the stress on customer. The projects can be ended as soon as the app development is over. While hiring a mobile app developer in UAE will prove to be still cheaper than anywhere again because of no taxes regime. An in house developer cannot be taken on contract but has to be employed which requires for entitlements of salary and various funds. But an outsourced developer will work entirely upon the contracted money. Faster production: The time difference between the two companies can be used to make the most. Shifting the non-working hours into the working hours of the clients will help to increase the process the completion of development. The longer the process of mobile application development, it is a form of cost to the client itself. The obstacle that stands in the way of finalizing on a foreign mobile application development company is that the sensitive information has to be passed to the foreign land. The case will be exactly same even if some local app developer is hired. The idea and information has to be passed to every developer. More over a NDA (Non-Disclosure Agreement) should be signed to bind the developer legally. This will enable the client to sue the developer in case of breach of agreement. While quality also holds significance for the client. A worthy product should be delivered to the customer. A customer can’t predetermine the standard of the product. The client can deal with a local agent to assess the development work. This won’t turn to be a huge cost. Summarizing: With the availability of mobile app development services around the world, getting an app developed for reasonable costs has become so much easier. It is also to be remembered that any app developer being deceitful to the customers would have their own consequences, since it is the digital age and every news is broadcasted worldwide. 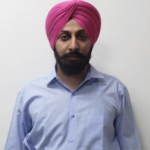 It is not that every mobile app developer is rogue, the industry has been thriving due to honest developers. Honesty is one of the foundation pillars of Fluper that has been working in the app development industry. The company has a beautiful past of four years dealing with over 150 clients across the globe. Among the emerging companies, Fluper ranks as one of the top application development companies. Previous articleWill iPhone 8 justify Apple’s take on innovation? ?